Anarchist resistance to fascism has a long and colorful history. 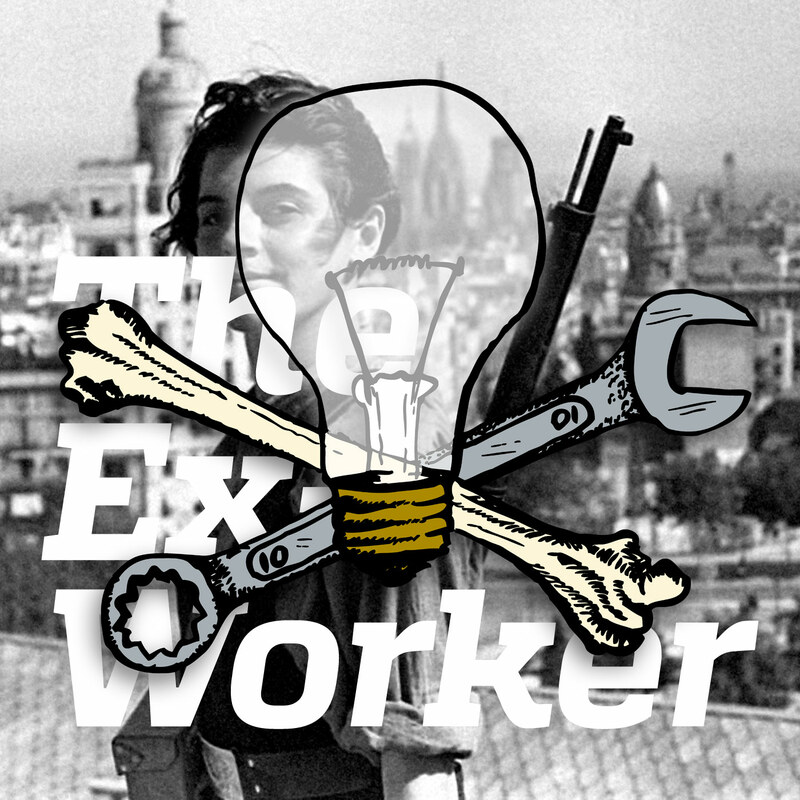 Our second episode on anti-fascism looks into how anarchists fought against Franco in the Spanish Revolution and beyond. We share an exciting interview with Occupied London about fascism and resistance in Greece, as well as a Free Speech FAQ to help anti-fascists circumvent civil libertarian defenses of fascist organizing. A special guest contributor chips in with a set of lively anti-fascist movie reviews. Listeners offer more antifa updates and crucial ways to get involved, alongside news of riots, blockades, and so much more. To learn more about the history of anarchist anti-fascism, there are a wide variety of books and resources out there. On the Spanish Civil War, works by Sam Dolgoff and Vernon Richards are classic syntheses. The Irish Worker’s Solidarity Movement has an excellent webpage of resources and links on the Spanish Revolution. The website libcom.org has a huge collection of historical essays and books available to read or download. Emma Goldman, Gaston Leval, and Rudolf Rocker were contemporaries who wrote on the topic. If you enjoy “Libertarias”, one of the films we reviewed on the Chopping Block, don’t miss Martha Acklesberg’s excellent work on Mujeres Libres. On the anarchist militias, Abel Paz’s work on Durruti, “About the Iron Column”, and “A Day Mournful and Overcast: An Uncontrollable of the Iron Column” are solid places to start. Antonio Tellez Sola’s work on the Spanish maqui guerrillas is indispensible; don’t miss his book Sabate. Stuart Christie’s memoir Granny Made Me an Anarchist is a lively read, and his website Christie Books has a treasure trove of historical material, includinga fascinating BBC interview with Christie describing his trip to Spain to deliver explosives for an assassination attempt on Franco. Voices of Resistance from Occupied London #5: Disorder of the Day is available to read online via the Occupied London blog. Also check out the Occupied London Collective’s 2011 book, Revolt and Crisis in Greece. “The Politics of Knives” is a new film about the rise of the Golden Dawn from a radical perspective. You can stream “The Chimneysweep” and “Antifa: Chasseurs de Skin” online; “Libertarias” you’ll have to find on your own. Speaking of antifa films, we just got word of a new documentary produced by German anti-fascists called “No Pasaran”, portraying an annual Nazi parade in Magdeburg, Germany and resistance to it. The Moscow Anarchist Black Cross page has information on how to support the four Russian anti-fascist anarchists arrested in Kazan. Below is the full text of our revised “Free Speech FAQ” for use in challenging the “free speech” defense of fascists. Please take it and adapt it as you need for use in your own anti-fascist organizing! You can also read the original Free Speech FAQ from Rolling Thunder #9, as well as the “Not Free Speech, But Freedom Itself” article, which also appears in the zine “The Divorce of Thought From Deed”. Failing to stop fascists from speaking - that is, giving them the opportunity to organize to impose their agenda on the rest of us - makes you as bad as them. If you care about freedom, don’t stand idly by while people mobilize to take it away. Actually, fascists usually don’t want to draw attention to their organizing; they do most of it in secret, fearing (correctly) that an outraged public will shut them down. They only organize public events to show potential recruits that they have power, and to try to legitimize their views as part of the political spectrum. By publicly disrupting and humiliating fascists, we make it clear to them and their potential supporters that they are not in control and can’t wield the power that they glorify. Ignoring fascists only allows them to organize unhindered - a dangerous mistake. Better we shut them down once and for all. People don’t become fascists simply because they’re persuaded by their ideas. Fascism claims to offer power to those who feel threatened by shifting social and economic realities. The fact that their analysis of these shifts are ignorant misses the point; do we need to cite examples of how dumb ideas have proved massively popular throughout history? From Italy to Germany to streets around the world today, fascists haven’t gained strength through rational argument, but through organizing to wield power at the expense of others. To counter this, we can’t just argue against them; we have to prevent them from organizing by any means necessary. We can debate their ideas all day long, but if we don’t prevent them from building the capacity to make them reality, it won’t matter. Only popular self-defense, not simply debate, has succeeded in stopping fascism. Our society’s institutions are indeed deeply racist, and our organizing must challenge and dismantle them. But the visibility of neo-Nazis and fringe fascists enables other right-wing groups to frame themselves as moderates, legitimizing their racist and xenophobic positions and the systems of power and privilege they defend. Taking a stand against fascists is an essential step toward discrediting the structures and values at the root of institutionalized racism. Plus, as we heard last episode, suit-and-tie fascists are infiltrating positions of influence in academia and politics, giving them dangerous power to advance racist policies on an institutional level. And fascists around the world are still terrorizing and murdering people. It’s both naive and disrespectful to their victims to minimize the reality of fascist violence. Fascists act directly to carry out their agenda rather than limiting themselves to representative democracy, so even small numbers can be disproportionately dangerous, making it crucial to deal with them swiftly. We oppose fascists because of what they do, not what they say. We’re not opposed to free speech; we’re opposed to enacting an agenda of hate and terror. We have no power to censor them; they continue to publish hate literature in print and on the internet. Their public events don’t exist to express views, but to build the power they need to enforce their hatred. The government and police have never protected everyone’s free speech equally, and never will; they systematically repress views and actions that challenge existing power inequalities. They spend hundreds of thousands of public dollars on riot police and helicopters to defend a KKK rally, but for a radical demonstration the same police will be there to stop it, not to protect it; just look at the evictions of the Occupy encampments, attacks on Earth First! actions, or countless other examples. Of course anarchists don’t like being silenced by the state, but we don’t want the state to define and manage our freedom, either. The First Amendment covers what laws Congress shall or shall not enact; it’s up to us to determine what we need to do to defend ourselves. Unlike the ACLU, whose supposed defense of “freedom” leads them to support the KKK and neo-Nazis, we support self-defense and self-determination above all. What’s the purpose of free speech, if not to foster a world free from oppression? Fascists oppose this vision; thus we oppose fascism by any means necessary. Resistance to fascism doesn’t increase interest in fascist views. If anything, liberals mobilizing to defend fascists on free speech grounds increases interest in their views by conferring legitimacy on them. This plays directly into their organizing goals, allowing them to drive a wedge between their opponents using free speech as a smokescreen. By tolerating racism, homophobia, anti-Semitism, and xenophobia, so-called free speech advocates are complicit in the acts of terror that fascist organizing makes possible. No one has the right to threaten our community with violence. Likewise, we reject the “right” of the government and police - who have more in common with fascists than they do with us - to decide for us when fascists have crossed the line from merely expressing themselves into posing an immediate threat. We will not abdicate our freedom to judge when and how to defend ourselves.